I came across this story in the Kyiv Post - just anyone know about - or can they obtain - a recording of this symphony? The Russian composer has written the symphony in 1902 when he was just 11-¬years-¬old and lived in Sontsovka, today’s Donetsk Oblast. It is believed to be his first symphony. The work was kept in a Moscow archive and has never been played for public. Ukrainian conductor Kirill Karabits has recently discovered the script of the symphony. 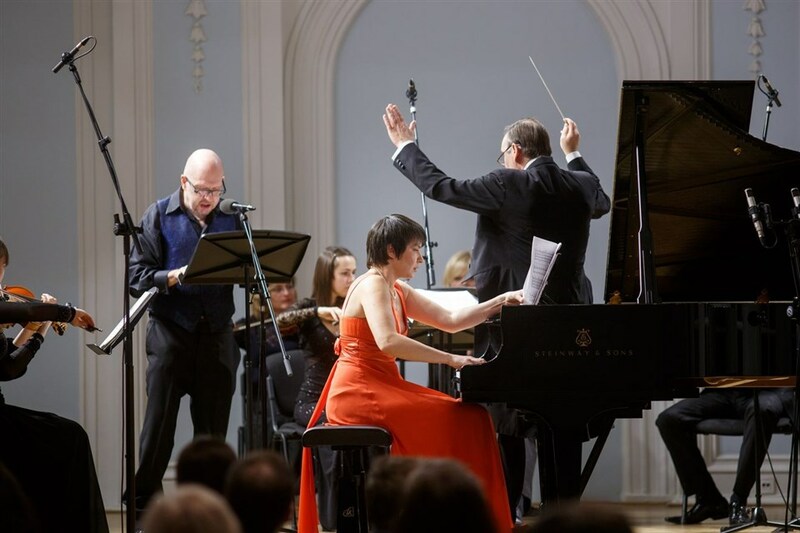 Karabits recorded it with the Symphonic Orchestra of the Glier Kyiv Institute of Music on March 21 during a concert dedicated to the 140th anniversary of Glier’s birthday and consisted of his students’ works. The manuscript of the symphony found by Karabits was titled “To my teacher Reinhold Moritzevich Gliere.” As a child, Prokofiev was taking music lessons with Gliere, another Russian composer, every summer. “Imagine you found unknown recording of The Beatles which has never been published before. It’s the same feeling”, radio host of “Aristokraty” Yaroslav Lodygin says. “There are millions of Prokofiev fans around the world and now they have opportunity to listen to his first work. And it’s weighty that it was recorded here in Kyiv”. The two¬-hour-¬long radio show will also include an interview with conductor Karabits and Yuriy Zilberman, deputy head of the Gliere Kyiv Institute of Music. Karabits plans to record Prokofiev symphony in London and give it to BBC Three broadcasting. Beware of fake news from an unstable country. What on earth does that mean in this context?? With his very considerable knowledge of and experience in the countries of Eastern Europe and beyond christopher is exceptionally well-qualified to tell the difference between fake news and the truth. Isn't that article just talking about the 3 minute fragment already recorded and linked in the second post? Exactly! It's a comment on a piece of music that HAS been recorded and IS on a CD that IS commercially available. An expert he may be..but things are so chaotic now that Ukraine has aligned with Turkey it makes me leery of any news from that region. None the less, the music from Ukraine is still of a high quality. This is a complete non-sequitur. How does a country's alliances make it one that puts out fake news? As for "unstable" - it is certainly going through difficult times but arguably has for the most part stayed remarkably cohesive despite the terrible pressures being put on it from its north-eastern neighbour. And areas away from Donbas are calm and safe (you've been too?). Define "aligned". Last I checked, the alignment is between Erdogan and Putin, despite their differences over Syria. What is your angle on the region? Do feel free to tell us about yourself. And finally, you brought this up but what on earth does it have to do with a lost-and-found symphonic fragment by Prokofiev? I very much hope that members will have recognised by now that I have tried to avoid intervention in discussion in threads. Can I simply and respectfully suggest that sticking-as far as is possible-to discusion of music is to be preferred to political debate. Frankly, the only use for the Kiev Post is when the Andrex runs out. Well it alerted me to a piece of music of which I was previously unaware, so it hasn't been totally without merit. As a general comment on the state of the press in the region (including Ukraine, Russia, Belarus and much of CEE), freedom of the media, and capture of media organs by (often government-friendly) oligarchs, your comment is fair.